Every year it is a little different. When and where we will find the first Ice to Cimb? It is time to start looking. 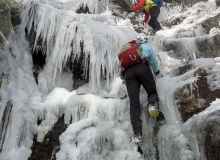 Time to start looking at the weather, to sharpen the gear and get the pack ready. And of course, stay tuned to NEice. 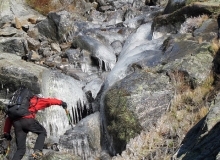 If there is ice, we will find it! Below is what we have seen over the last few years for early season ice with dates, and related stories. 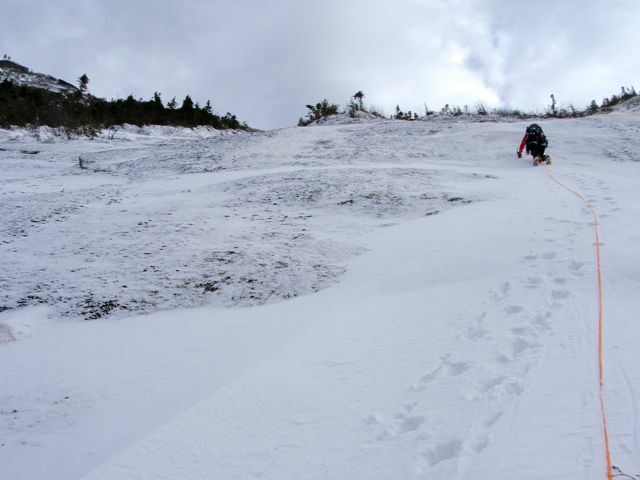 October 13 – MT Katahdin ME. 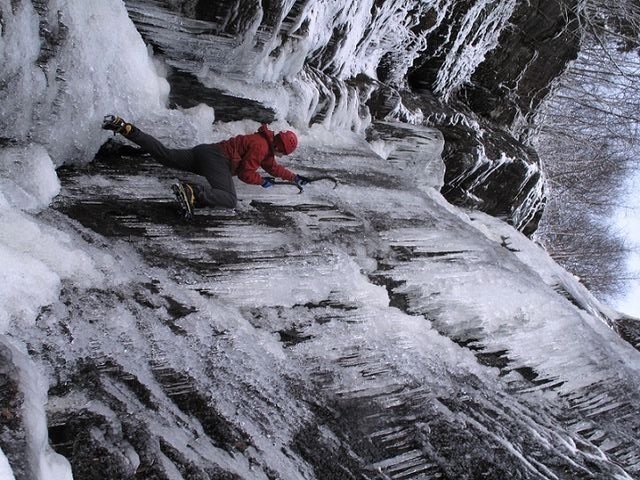 Alfonzo and I hit the pot of gold…the best earliest season ice we have ever climbed in the Northeast. Also see The Season of the Witch. 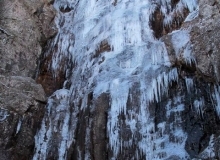 November 5 – Defiance in Huntington Ravine. 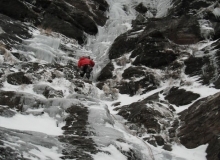 We were determined, by hook and crook we were climbing up a gully. November 6 – The Black Dike Goes Down!! 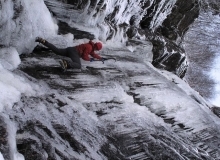 The unofficial start to to the Ice Climbing season. November 12 – “P.F. Flyer” King Ravine. 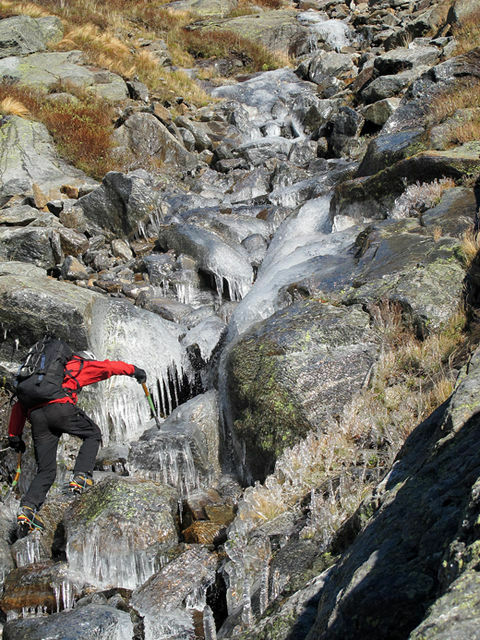 We found some excellent early season ice. December 8 – Take a ride UP “Standard Rt”. WooKong takes to the air. 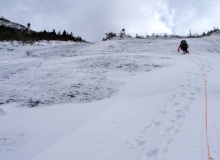 October 6 – We beat the sun for the “First Ice” Planing is everything. October 29 – Game ON! Here we go! November 4 – “Trick or Treat?” What is going on? 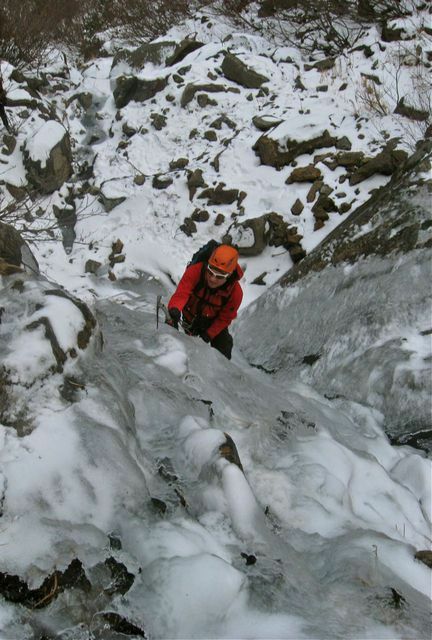 November 6 – Pinnacle Gully, IN! Arethusa Falls , Not IN! 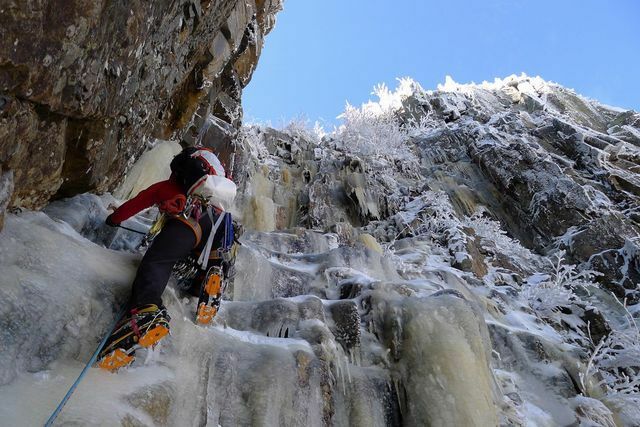 November 13 – Is this Ice Climbing? 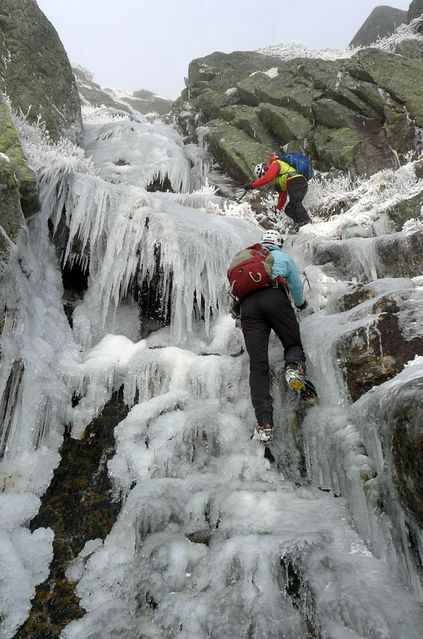 King Ravine NH – It’s all relative. November 30 – False Start. – 5 yard penalty – repeat first down. October 10 – Let the “Games” begin! The Start! November 3 – Right on Schedule! – The Black Dike comes in as predicted. 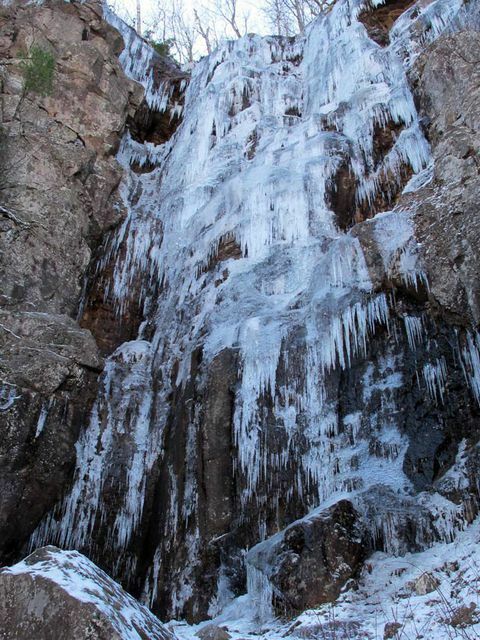 November 24 – The Ice is Back! – A warm spell took out what little ice we had. 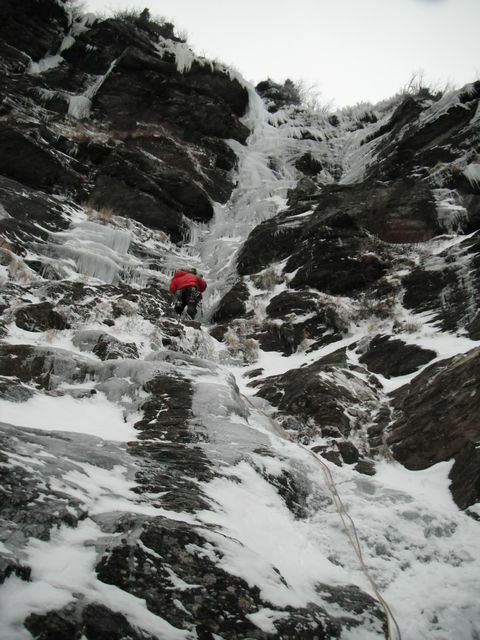 December 7 – Pinnacle Gully, Huntington Ravine – Full on Winter! 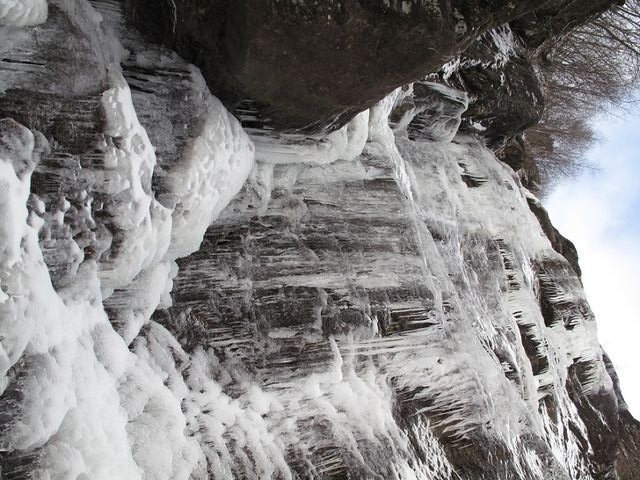 October 15 – “Pinnacle Gully” The cold came in early, it looked like a great start, then the warm up! 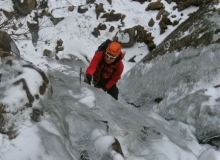 November 8 – If you want to climb ice, you can find it! Turf climbing an’t so bad! December 9 – “The Black Dike”. A very late start for “The Dike”. December 18 – “Hassig’s Direct”. A variation of The Black Dike on Cannon Cliff. Our Classified Section has great deals on gear. Sell or buy to get ready for the upcoming season. 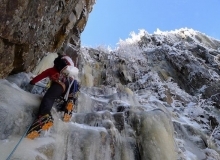 Looking for a climbing partner? Our Partners Section is the perfect place to start. I hope your looking forward to the upcoming Ice Season as much as I am. What will Mother Nature give us this year? NEice Admin https://www.neice.com/wp-content/uploads/2017/10/2012_NEice_logo_oval_blk6-1024x350-300x103.png NEice Admin2013-10-21 18:57:112013-10-21 18:57:11Where and When?